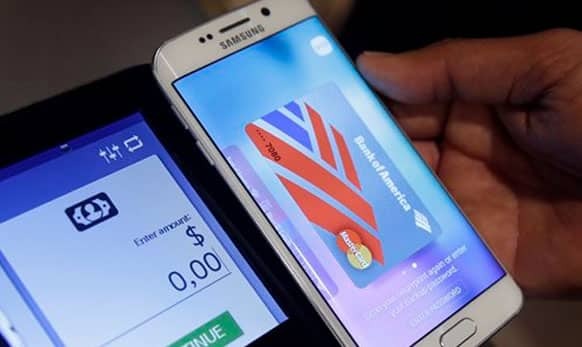 A Samsung employee uses Samsung Pay at a coffee shop in New York. 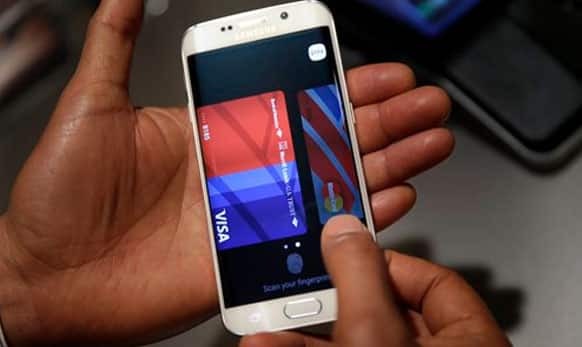 A photo of Samsung Galaxy S6 Edge Plus is displayed in New York. 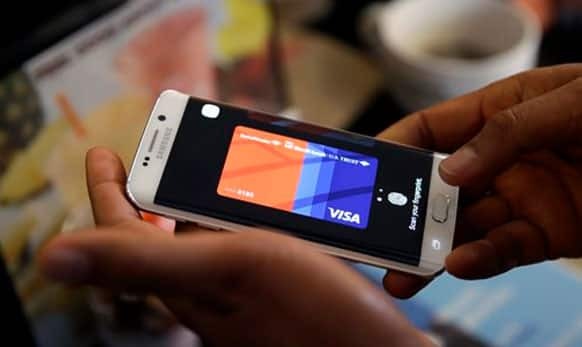 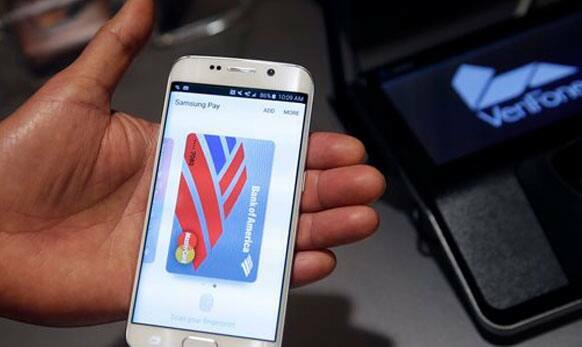 A Samsung employee demonstrates Samsung Pay using a Galaxy S6 Edge Plus in New York. 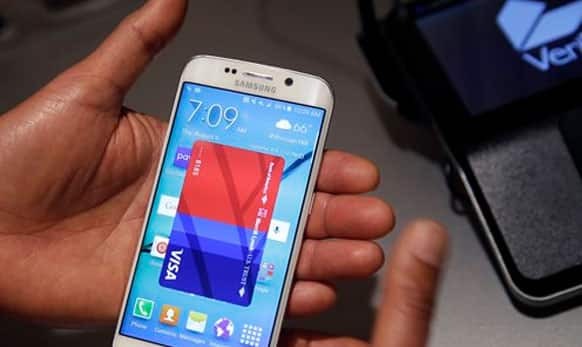 Samsung will roll out the devices in US and Canadian markets on August 21. 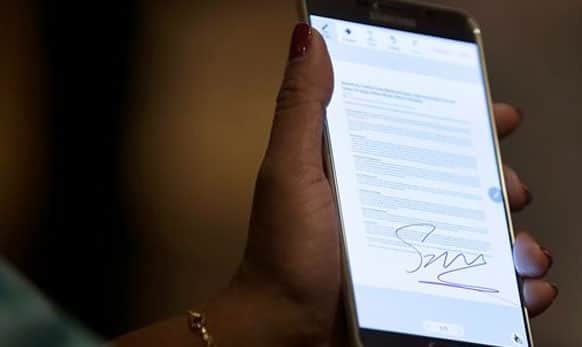 A Samsung employee demonstrates how to sign a document using the new Samsung Galaxy Note 5 in New York. 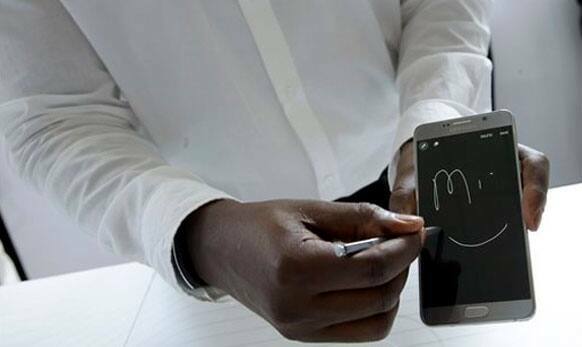 A product expert demonstrates the Samsung Galaxy Note 5 during a presentation. 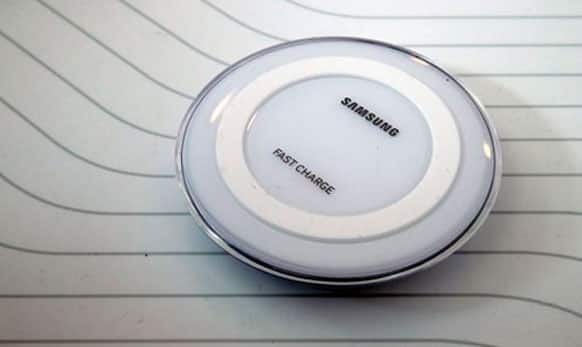 The Samsung fast charging wireless charger is on display during a Samsung presentation. 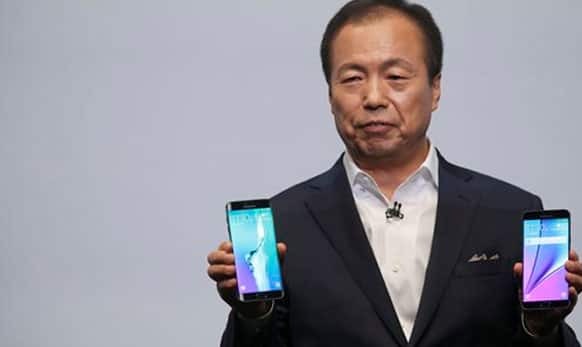 JK Shin, president and CEO of Samsung Electronics, holds the Samsung Galaxy S6 Edge Plus, left, and the Samsung Galaxy Note 5. 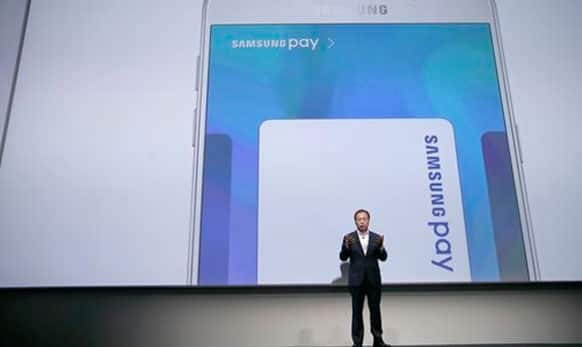 JK Shin, president and CEO of Samsung Electronics, talks about Samsung Pay during a presentation. 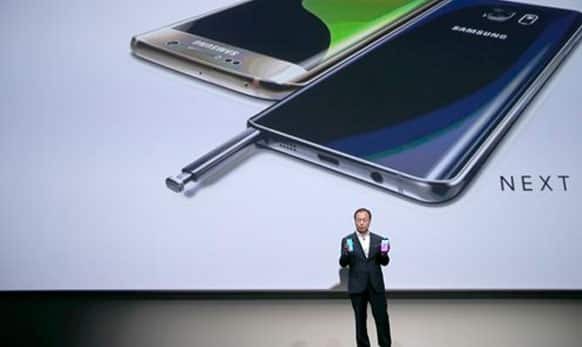 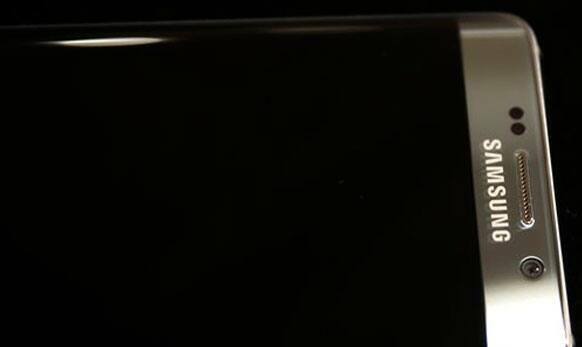 Samsung has unveiled Galaxy S6 edge+ smartphone and new Galaxy Note phablet.